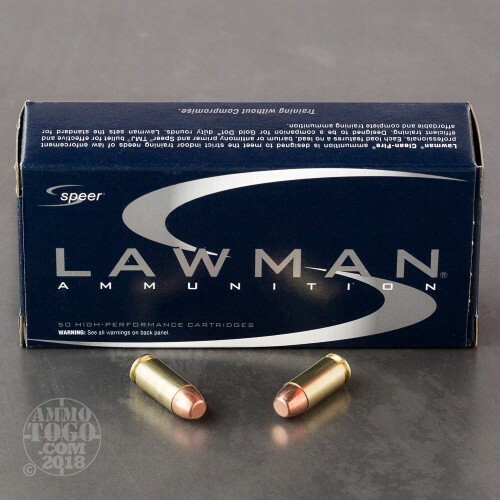 The primary choice for law enforcement across the country, Speer Ammunition is loaded with the finest projectiles and fueled by consistent primers and propellants. 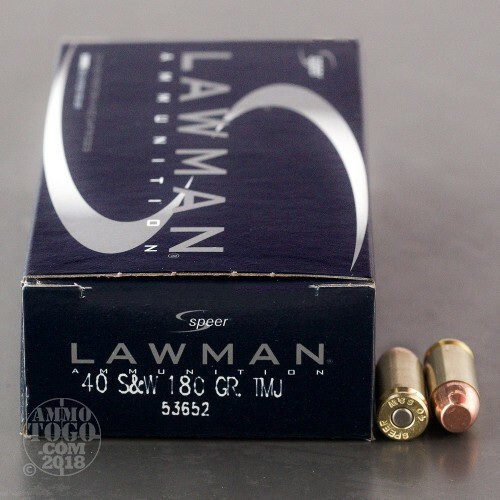 Speer’s Lawman line is designed to deliver incredible consistency as well as the feel and point of aim consistent with their personal defense loads. The result is a smooth transition from your practice load to your premium load. This package contains 50 rounds of Speer Lawman .40 Smith & Wesson ammunition. Each round is loaded with a 180 grain total metal jacket projectile. 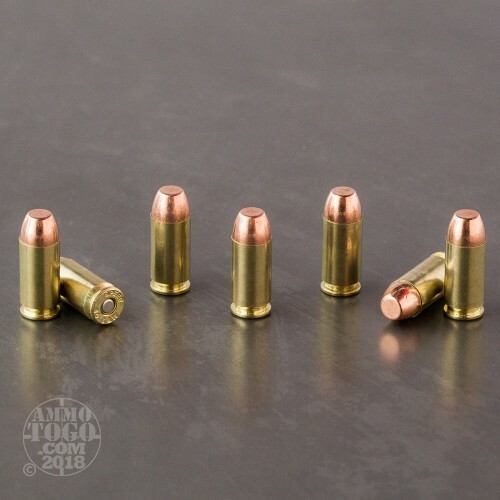 With a plated jacket that thoroughly encapsulates the entire lead core, these rounds deliver minimal expansion making them an ideal practice round that delivers premium performance at a practical price. 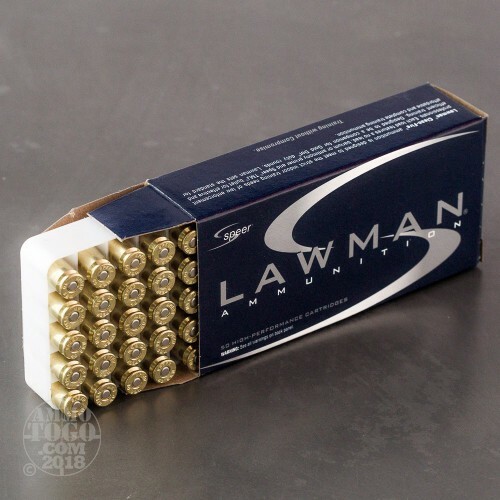 This non-corrosive, new production ammunition features reloadable brass casings and is boxer primed. Each round delivers a muzzle velocity of 985 feet per second and a muzzle energy of 388 foot pounds.